I have talked before about signs of body work on a car. The things that you need to look for before buying any car, new or used. Here is a classic example of what that can look like. The hatch of this Jetta has been hit. I don’t know the story, but I can see the results. From the factory, most car makers paint all the nuts and bolts that hold the body together. 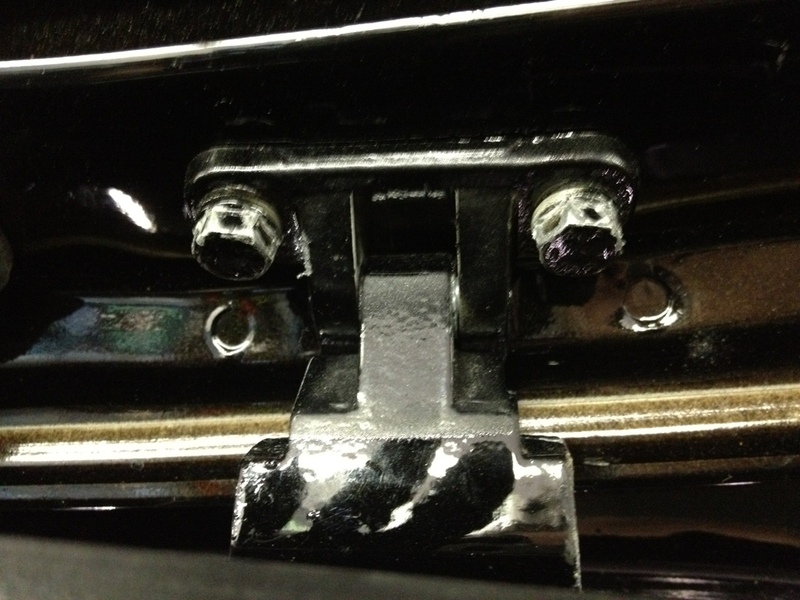 Things like fenders, hoods, and doors generally have the the fasteners painted. Checking for the paint missing or broken like these are can give clear evidence of body work. If a car just had some cosmetic damage, you probably will not see this. There is no reason to remove a fender to fix a scratch. Most body shops will fix that right on the car. Also know that even new cars can have this. They should not be selling them as new, but I know some places will. This is a picture of the fuel tank on a new TDI diesel Jetta. The trucking company mis-fueled the tanks. Because of that, the customer filled their car with gasoline. This one was not the customers fault. It was not a HPFP failure, it was clearly a car that had been mis-fueled. Be careful where you fill up your tank. 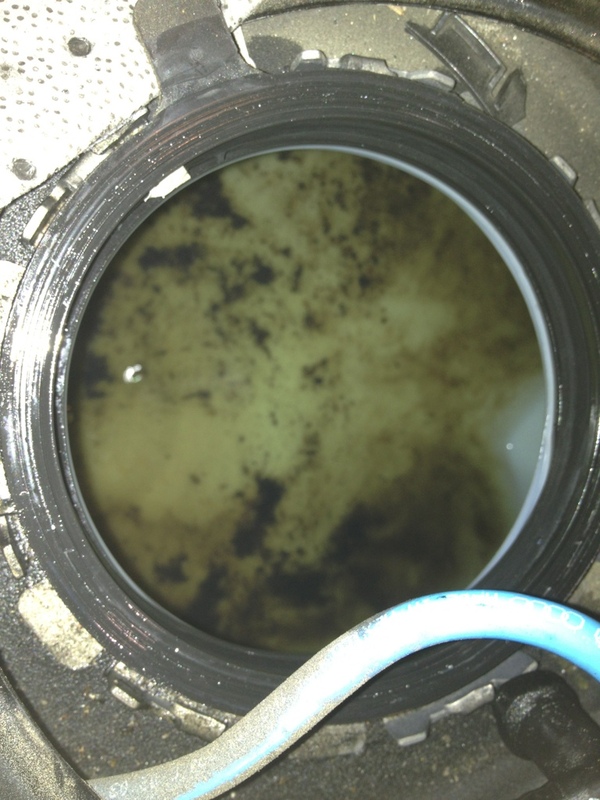 You might be filling it with the wrong fuel or pumping contaminants into your tank. Never under estimate how important a fuel filter is. If there was not a filter on the in tank pump, or near the engine, all this would have totally ruined the fuel system. This is the floor of a VW Jetta. As you can see it is covered in dirt, leaves, and pine needles. Normally I would not care one bit about that. This car had a recall to rewire the airbags in the seats. That means hanging out on the floor board of this car. You can also see the back seat was jam packed full of stuff. I don’t really care if a customer has a clean car, or a dirty car. I am not really a fan of smelly cars, but that is another story. 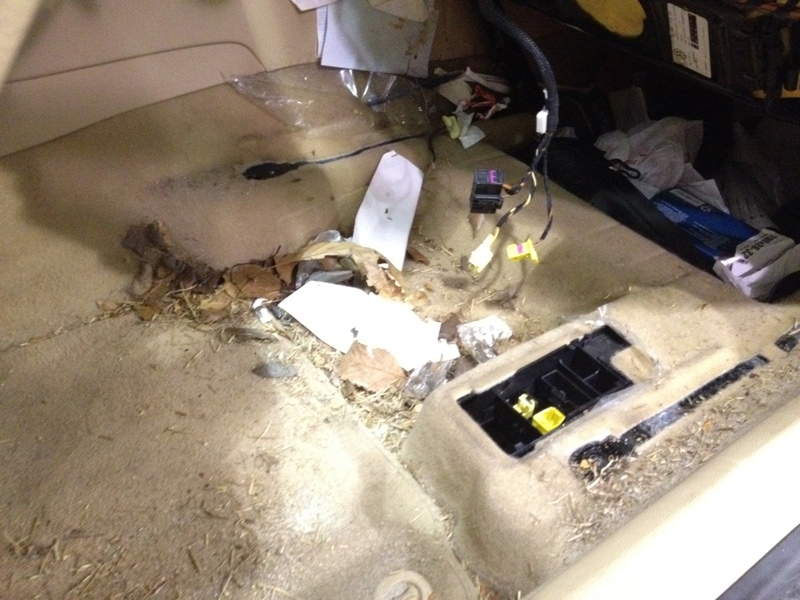 I do not really care for working on the floor of a car that is covered in nasty. If you are planning to bring your car in, please at least pick it up a little. I want to wrap up today with this. 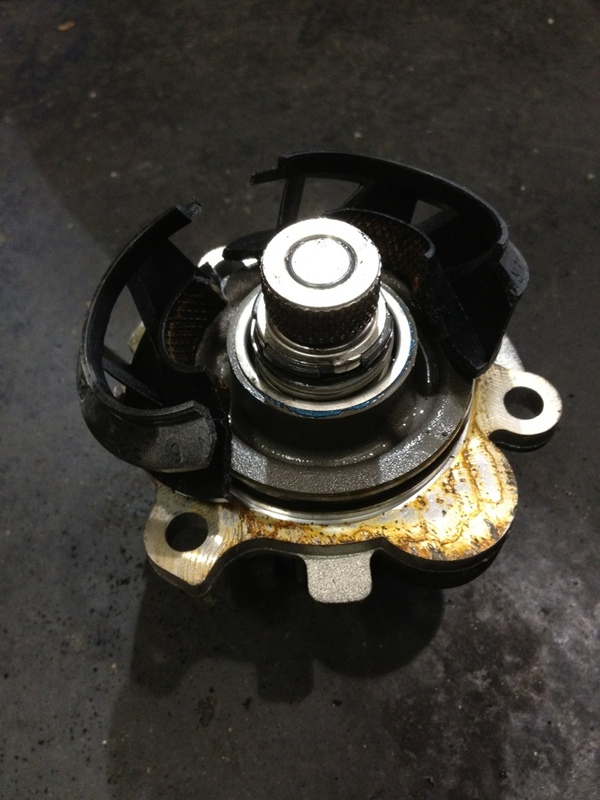 What you are looking at is a water pump from a 2001 VW Jetta 2.0l. This is a very common point of failure on that engine. The reason is the impeller is plastic. It is molded onto a metal shaft. Over time the plastic breaks loose and the pump stops pumping. If your mechanic tells says your water pump has failed, this may be what it looks like. Do you enjoy Shop Shots? If so, I would really appreciate you sharing with your friends and family. That is the best way to spread the word about the site, and help folks with their cars. Just click on the little buttons below. EASY! You are looking at the drivers floor board. The seat is unbolted and standing up. You can see the clips of the drivers floor mat. As for the water pump, I feel safer knowing that mine was replaced with a metal one when I replaced my camshaft in my 2.0L Golf. Another great round of Shop Snaps, I hope the customer didn’t have to pay out of pocket for the fuel tank.